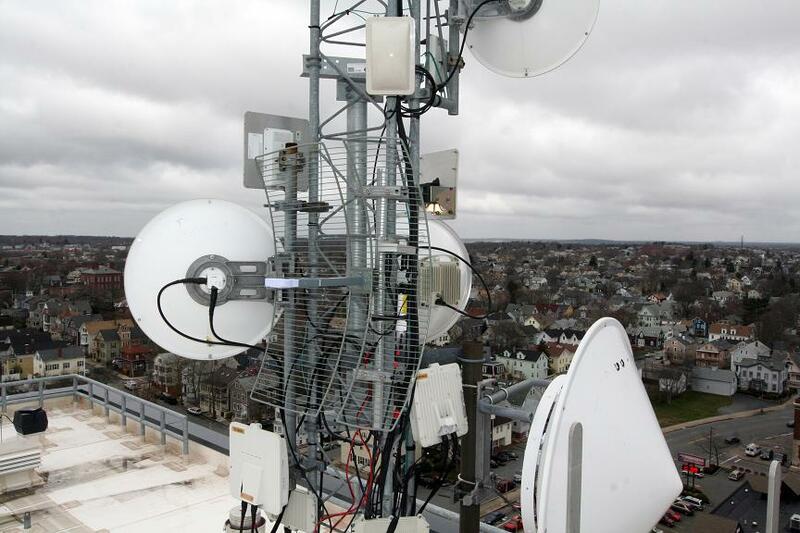 While setting up ham radio Wi-Fi links, tipically we define the total quality of links by simply measuring bandwidth or network throughput. The common typical method consist in measuring network throughput by copying a large file from a PC to another PC located at the other part of the network link, and by measuring in seconds the time taken for the file to be transferred. By dividing the file size (in MB) with the number of seconds, we obtain the Bytes per second speed. Dividing that by 8 we get the size in Bits per second. Well, this can give you a rought idea, but is certainly far from the real throughput rate. Will try to explain why. In TCP network connections, there are some factors that substantially influence calculation like latency, TCP Receive Window size and operative system limits, therefore the calculated throughput does not reflect the maximum achievable throughput. 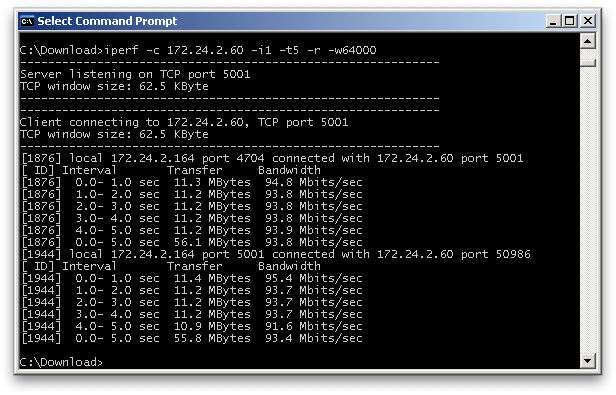 Bandwidth can easily be calculated by using some common tools like iPerf, that I’ve used several time to determine available bandwidth in WAN connections. Iperf is a popular opensource network testing tool that can transmit TCP or UDP data streams and calculate the real throughput of a network that is carrying them. You can find on the web also jperf that’s the GUI version of this command line tool. Using iPerf is very simple, you have to run the command from DOS shell, (command prompt ohps…) from two linked PC. In one PC you will have to run the “server” modeÂ #iperf -s , while on the other in client mode #iperf -c 192.168.1.3 -d , assuming that 192.168.1.3 is the IP server address. You will read at the command prompt the calculated network bandwidth.